Ask today’s group of mostly young activists the difference between their recent protests in the Birmingham metro area and the Civil Rights Movement protests of the past, and they’re blunt. “Our ancestors were amazing [because] they allowed themselves to be harmed and did not fight back. I revere that, but I just don’t think … that’s the 2018, 2019 mentality,” said Iva Williams, 49, vice president of the Outcast Voter’s League. Williams, along with Carlos Chaverst, president of Birmingham Justice League and secretary of the Outcast Voter’s League, and Frank Matthews, founder of the Outcast Voters League and chief advisor to the Birmingham Justice League, have led several marches following the police shooting and killing of a young black man, 21-year-old Emantic “E.J.” Bradford Jr., at the Riverchase Galleria mall in Hoover, Ala., last year on Thanksgiving night. On Tuesday evening, they held protests again after Alabama Attorney General Steve Marshall said a Hoover police officer took justifiable action in the shooting of Bradford Jr. The protesters said more demonstrations are on the way. 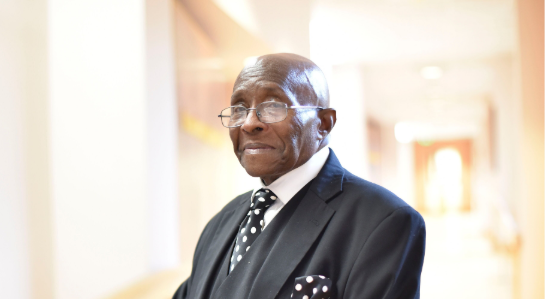 They also met with members of the Birmingham Civil Rights Institute (BCRI) board after it rescinded a decision to present its highest honor, the Rev. Fred Shuttlesworth Human Rights Award, to renowned activist and Birmingham native Angela Davis, PhD. In the wake of criticism—an incident that sparked widespread outrage the BCRI has since reversed its decision. Their 21st century approach is a lot different than the methods used by demonstrators during the 20th century Civil Rights Movement, according to some. Birmingham area ministers do not question the sincerity of current protesters, but they do point out apparent contrasts between today’s demonstrators and those who marched with the Rev. Dr. Martin Luther King Jr. and others 55 years ago. Bishop Calvin Woods, who has served as pastor of Shiloh Baptist Church in Norwood for 33 years, marched with King in 1963. He said he supported the protests in Hoover and would have participated in the demonstrations had he been invited. Still, he said, protesters should keep King’s philosophy of nonviolence in mind when confronting authorities. Protests against racial discrimination and alleged police brutality are nothing new in the Birmingham area, said Woods, who recalled the turmoil that erupted in the city when a police officer shot and killed an innocent young black female bystander in the eastside community of Kingston in 1979. The Rev. Terry Cummings, pastor of 130-year old Harmony Street Baptist Church in North Avondale, said a spiritual influence seemed to guide Civil Rights protesters more so in 1963 than in current times. Doris Gary, 85, who participated in the marches of the 1960s and lived in Collegeville when the Rev. Fred L. Shuttlesworth was pastor of historic Bethel Baptist Church, agreed. Cummings said protesters can only be successful when using spiritual weapons: prayer and the Word of God. The Rev. Arthur Price, 53, pastor of downtown Birmingham’s Sixteenth Street Baptist Church, said King learned how to turn anger into advocacy. Cummings noted that protesters, past and contemporary, used financial leverage in both arenas of conflict. For instance, Miles College students launched a selective buying campaign, or boycott, in 1962 to protest segregation in downtown Birmingham retail stores. Similarly, he explained that the recent protesters in Hoover attempted to have an impact on business in the city, especially during the past holiday season. Still, some have argued that an emphasis on status among pastors and worshipers has diluted the black church as a force for change in recent years. Cummings said it seemed that activists outnumbered clergy in recent protests. He partially blamed that on “cliques” within the clergy that trickle down to church members and weaken the church as a whole as a force for justice. “When I mentioned cliques, [I meant] … there are certain churches and pastors that fellowship and work together and don’t seek to involve or embrace other churches and pastors that are not of the same caliber or [same denomination],” said Cummings, whose church is situated within the Tom Brown public housing community. More unity within pastoral circles and among congregations can help the church regain strength as a catalyst for social change, he added. The Rev. Dr. Thomas Beavers, pastor of New Rising Star Baptist Church in East Lake, said transparency demanded by protesters regarding the Hoover shooting is beneficial. Beavers, who succeeded his grandfather as pastor of the 1,100-member congregation, added that some protesters find it hard to be civil when black lives do not matter. “We must continue to demand justice while not giving anyone a reason to refute our cause,” he said, adding that the Hoover incident placed the Birmingham area at a crossroads. Leaders, hopefully, can use their wisdom to “shine,” Beavers said, and avoid erasing 50 years of progress made since the Civil Rights Movement. The Rev. Alvelyn Sanders-Swafford, pastor of St. James African Methodist Episcopal (AME) Church in Avondale, says current protesters should remember that King wanted to ensure that the oppressed gained a voice in society and that their humanity was recognized. “When there was blatant disregard for unarmed black men, [King] wanted the world to know that they were people, too,” she said, noting that clergy seem less represented in leadership roles in current protests about alleged police brutality and activists have filled the vacuum. Social media and less-formal worship have helped to create a “splintered” society in which the church is no longer the center of the community, Sanders-Swafford said. Consequently, activists have moved onto the front lines when incidents arise that trigger protests. “King prayed and looked to God for direction, and that informed his [approach to the Civil Rights push]. We can pull nonviolence and civil disobedience from him, but I can’t separate myself from being prayerful,” said Sanders-Swafford, a native of King’s hometown of Atlanta, Ga., and author and director of “Foot Soldiers Class of 1964,”an award-winning documentary about Spelman College student activism that took place 50 years ago. Also, while churches are made up of the community and have a responsibility to the areas in which they reside, Cummings pointed out that the number-one purpose of the church is to preach and teach the philosophy of Jesus Christ and save lost souls. “Preachers are not called to be activists. They are called to herald the Word of God,” he said. Cummings recommended that ministers refrain from becoming too radical in their preaching lest their messages become “too worldly.” He said they can use an activist mindset but must be grounded in spirituality in the quest for justice and remedying community ills. The 38-year-old Miles College graduate admonished activists to be as passionate when African-Americans are slain at the hands of other blacks as they are when police pull the trigger. When protests were held in Hoover, Ala., on Tuesday evening after Alabama Attorney General Steve Marshall said a police officer took justifiable action in the shooting and killing of a 21-year-old black male, noticeably absent were members of the clergy who were at the forefront of the Rev. Dr. Martin Luther King Jr.-led Civil Rights Movement in the 1960s. Matthews and members of his groups—including Carlos Chaverst, president of Birmingham Justice League and secretary of the Outcast Voter’s League, and Iva Williams, vice president of the Outcast Voter’s League—have taken to the streets and City Council chambers and beyond to call attention to recent protestable events. They were out again Tuesday night in Hoover with National Civil Rights Attorney Ben Crump and the family of Emantic “E.J.” Bradford Jr., who was shot and killed at the Riverchase Galleria mall in Hoover on Thanksgiving night. The local groups have held protests not only at various locations around Hoover but also at the home of Hoover Mayor Frank Brocato and in the Montgomery neighborhood of Alabama Attorney General Steve Marshall and more are planned, they say, now that charges will not be filed against the Hoover police officer. 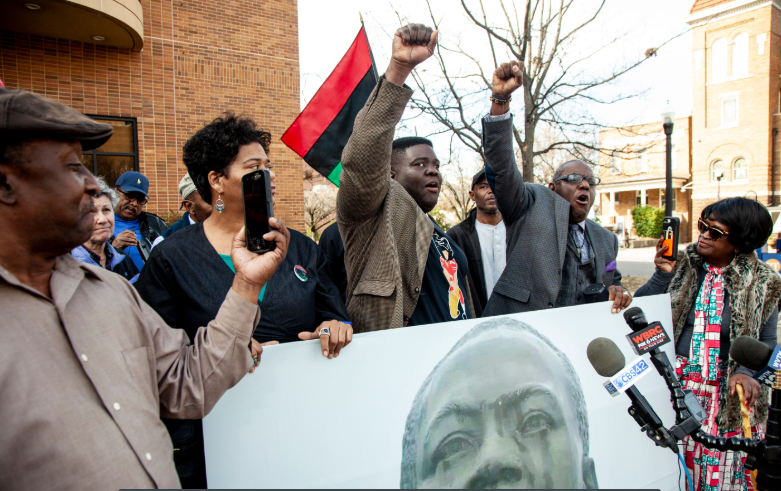 In addition, protesters met with members of the Birmingham Civil Rights Institute (BCRI) board after it rescinded a decision to present its highest honor, the Rev. Fred Shuttlesworth Human Rights Award, to renowned activist and Birmingham native Angela Davis, PhD. In the wake of criticism; the BCRI has since reversed that decision. Matthews said he believes King would support any group fighting against injustice, including the “Foot Soldiers” of today. Bishop Jim Lowe, senior pastor of Guiding Light Church in East Birmingham, said he can see the difference between King’s movement and some—not all—of the ones that are active today. Leaders during the 20th century Civil Rights Movement set a standard for today’s protestors, said area clergy. Martez Files, a 27-year-old organizer for the Black Lives Matter movement and an African-American studies professor at the University of Alabama at Birmingham (UAB), said King, as an example for activists and organizers, “represents the ways we can navigate space, navigate power structures, bring folks together across generations, across religions. … King was a unifier and, I think for someone like me, King also fought against an imperialist government. He didn’t believe big powerful countries should go in dominating smaller countries. He knew there was a way for people to be sovereign, have their liberty, and have their dignity intact. So, I think … King sets multiple examples for activists and organizers. Lowe said the Civil Rights Movement was focused on changing the hearts of those who were against the fundamental principles of the Word of God. The Rev. King and the Rev. Shuttlesworth, as well as the Rev. Ralph Abernathy and the Rev. Charles Billups, were at the forefront of those marches 55 years ago. Now, demonstrations seem to be led mostly by activists on the local and national levels. “Sometimes, when we have major issues like the issue at the Galleria, some of the clergy you see, you don’t see them until television cameras, news media,” are around, said Tyus, who wonders if some clergy have the issues at heart. Instead of waiting until a high-profile event happens, Tyus said, tutor and mentor some young men. Sit and talk with them. Hamlin said clergy are active today in many ways, pointing out Faith in Action Alabama’s Birmingham Peacemakers, a movement that calls the faith community together to respond to violence. The organization is made up of “clergy persons who take to the streets … and work to honor God by achieving systemic change to create pathways of opportunity for all Alabamians,” he said, adding that the group has several peace walks in various communities, including Birmingham’s West End. Price said the clergy is at work even when you don’t see them patrolling neighborhoods. Price added that no one can play the role King did.